WABC Radio Host John Batchelor Ruins His Reputation By Putting Snake Oil Scam Diet Doctor Arthur Turovets On as Regular Guest Without Disclosing Advertising Relationship as Turovets Pays WABC/Batchelor For Ads on Batchelor’s Show for his Scientifically Unproven NJ Diet and its Misleading Diet Claims. 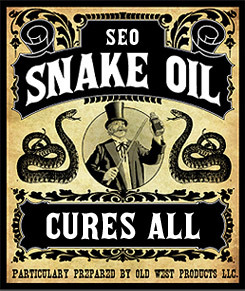 WABC Radio Host John Batchelor Ruins His Reputation By Putting Snake Oil Scam Diet Doctor Arthur Turovets On as Regular Guest Without Disclosing Advertising Relationship as Turovets Pays WABC/Batchelor For Ads on Batchelor’s Show for his Scientifically Unproven NJ Diet (Formerly Known as Nuvo Fat Loss) and its Misleading Diet Claims. Sad that Batchelor joins the ranks of Hannity, Michael Savage, and other prominent conservative talk radio hosts in their wanton disregard for their audience through promoting companies and individuals that seek to defraud the general public with their snake oil medicine and fraudulent financial schemes. What is it with these conservative radio hosts, anyone remember Sean Hannity and his good buddy the quack Dr. Eric Braverman? Memo to Batchelor: Ethical rule #1 - Always reveal your financial relationship with your on air guests. Instead Batchelor tried to hide a 3am cable tv infomercial in the guise of a legit news segment covering a doctor with an alleged ground breaking diet. The so called doctor Arthur Turovets was making repeated scientifically unproven claims and declaring them as fact. Science has not proven that blood/DNA tests can magically provide a doctor with a tailor made diet. Turovets claimed his diet would turn your body into a fat consuming machine and it would totally eliminate any junk food cravings or any cravings at all. The claims went on and on while John Batchelor marveled and gushed and pointed to the testimonials on Turovets website. Historically Batchelor has run a down the middle talk radio show with 85 percent of his guests as pure journalists, only 10 to 15 percent of his guests have been dubious fringe personalities with checkered pasts, the current one being Stephen Cohen who praises everything Russian President Vladimir Putin does while critiquing everything America does, no leader is 100 percent. But that is another story, with this snake oil in guest subterfuge, John Batchelor may have jumped the shark and waded into a Trump like swamp. Update: MikeFrancesa.com has found no evidence that Arthur Turovets is a Doctor. The degree that Turovets claims is of a Chiropractor which makes him a licensed practitioner, not a doctor, more false advertising.